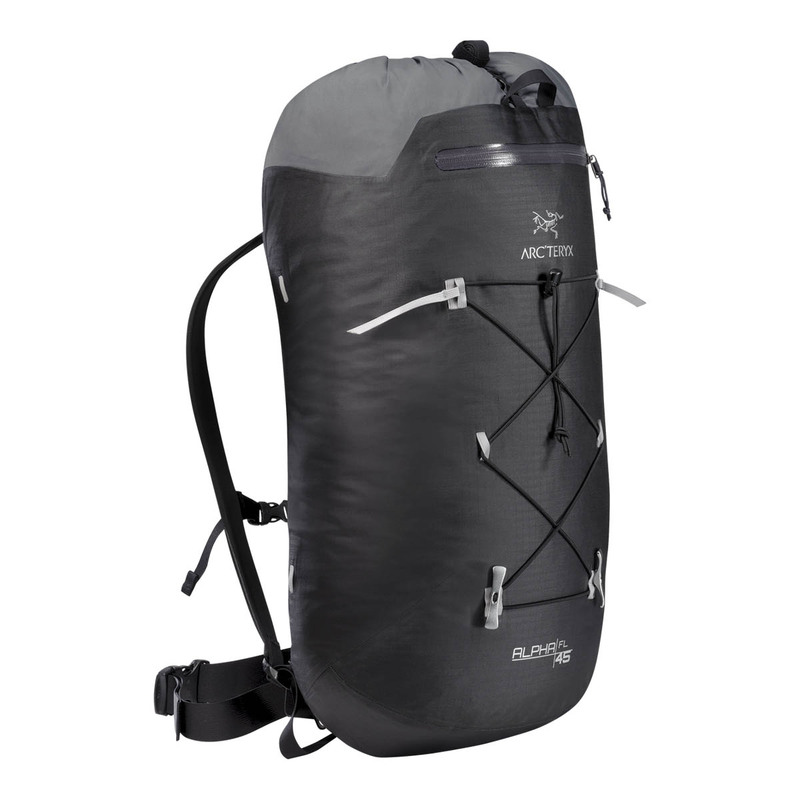 The Arc'teryx Alpha FL 45 Backpack is a 45L ultralight, highly weather-resistant, hard-wearing alpine backpack built for rock climbing. Weighing a mere 670 grams, the Arc’teryx Alpha FL 45 Backpack is designed to be simple, versatile, and responsive, utilising weather-resistant and durable materials for mountain protection, with a RollTop™ Closure for when conditions worsen. Has a host of pockets, loops, and lashes that are designed specifically to interact with rock climbing equipment for easy and efficient ascents. A unique, highly durable, weather-resistant nylon fabric. Polyurethane coated inside and out, the fabric is water, snow, and even air impermeable to protect the contents of your bag, with a pigmented white interior reflects light for heightened visibility. A weatherproof seal that, when not needed, is stored inside the pack out of the way. Easy to use with gloved hands, this closure system seals out moisture and has a wide mouth opening that allows quick access to pack contents. Ripstop fabrics are fabrics woven with a special reinforcing technique that makes them resistant to tearing and ripping - the same technique used in sails, hot air balloons, kites, and parachutes (disclaimer: item will not work as a parachute… or at least hasn’t been tested to). I get this backpack to use for my alpine routes at the Alps.